Duke’s Fuqua School of Business is one of the top 20 MBA programs in the US. 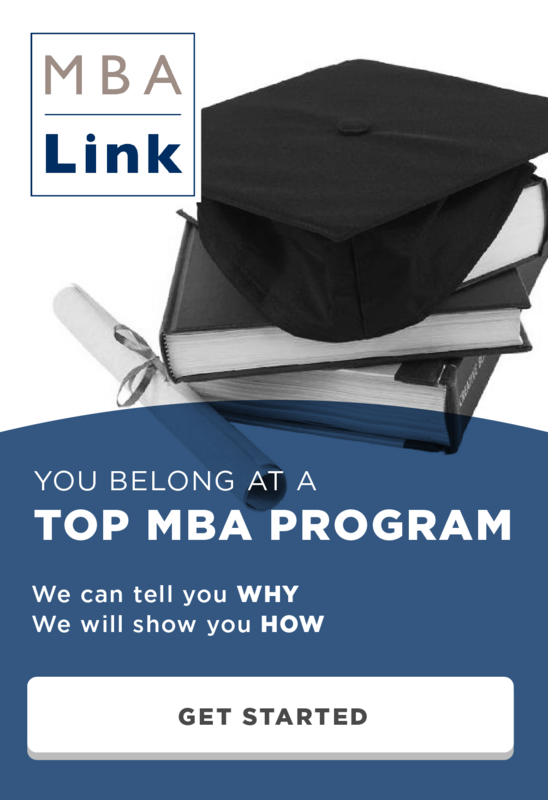 The Duke MBA acceptance rate is 25%, which makes being admitted a big accomplishment. The next question is obviously what characteristics does the Duke admissions committee look for in Fuqua applicants? Not only are GMAT and GPA important factors that will impact your admissions, but also your age and the round you apply in affect your chance of acceptance. 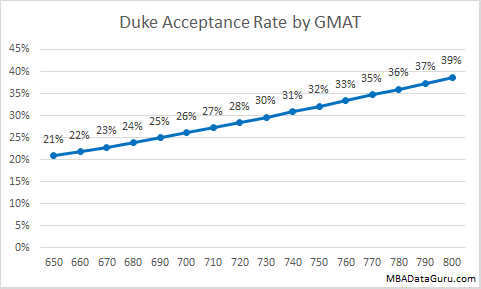 The average Duke applicant has a GMAT of 690, several points lower than the 697 for accepted candidates. As expected the acceptance rate increases as an applicants GMAT rises. 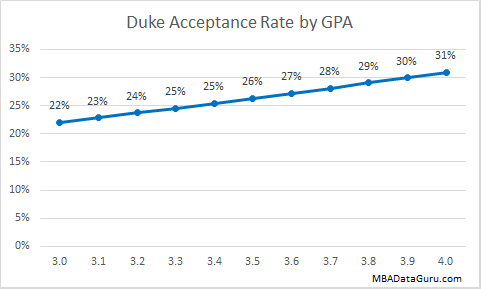 The graph above shows Duke MBA acceptance rate by GMAT for the average applicant with a GPA of 3.35. Unlike schools such as Stanford and Cornell, GPA does affect Duke MBA acceptance rate. The average applicant has a GPA of 3.35, however accepted applicant’s GPA is slightly higher. Above you can see the admission rate by GPA at Fuqua. Now that you know that GMAT and GPA both matter to Duke, the next question is which is more important. 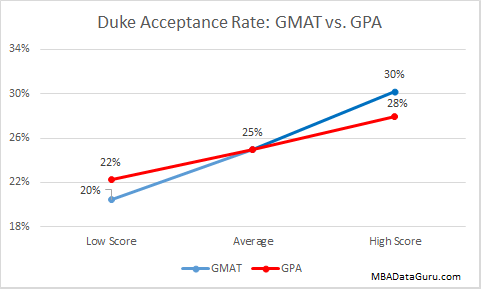 My admissions analysis shows that Duke prefers GMAT over GPA*. A high score on the GMAT will increase Duke MBA acceptance rate from 25% to 30%. However, a high GPA only increases your chance of admission at Duke to 28%. For applicants with a high GMAT and low GPA, Duke is a good school at which to apply. For example an applicant with a 750 GMAT and 3.0 GPA has a 29% chance of getting into Duke. Similar to other schools such as Stern, age impacts acceptance rate. 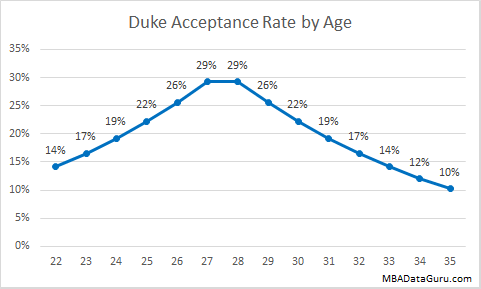 Applicants who are around 27 to 28 have the highest chance of being accepted at Duke, while older and younger candidates have lower odds of being admitted. My hypothesis is that younger applicants don’t bring as much work experience to the class room discussion while older applicants are hard to place at top companies during on campus recruiting. 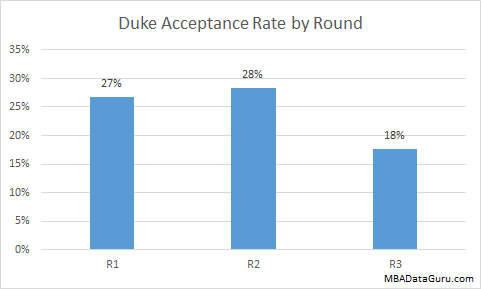 I looked into how application round affected your chance of admission at Duke, and it was not statistically significant. Even the low round 3 acceptance rate cannot be confirmed as accurate because of low volume. Don’t worry too much about applying first or second round, but you may want to avoid round 3 just to be safe. People applying from India had a significantly lower chance of admissions, while applicants from the US had a higher acceptance rate at Duke. Applicants who majored in business had a slightly lower admission rate. Military applicants had an astonishingly high acceptance rate of 50%. So all you veterans out there should strongly consider applying to Duke. The data used for this analysis comes from GMAT Club. *For GMAT vs. GPA comparison a high score is defined by one standard deviation above the average GMAT or GPA. This entry was posted in Admissions, Fuqua, GMAT, GPA, MBA and tagged Admissions, Duke, GMAT, GPA, Industry, Major, MBA, Work Experience on December 22, 2014 by Data Guru. Congrats on the admit. This analysis is just to give people a rough idea of their chances. Obviously some talented individuals such as you overcome the odds that are stacked against them and are accepted. I’m sure you have an impressive background in areas other than GPA and GMAT. My data doesn’t take into account components like quality of essays, resume and recommendations, which are very important. Good luck in business school, it is a great experience.